Bryte which is known mainly for producing tablets have just released a new tab called the Bryte one Octa core. The new Bryte one octa core is powered by a 64 bit Octa core and a 2gb RAM and it cost just N15,900 which makes it one of the cheapest tablets (if not the cheapest) within its specification range . This device supports voice calling, it also comes pre installed with apps like BBM, Instagram, Office Suite, Skype, Facebook, Twitter and over 25games. 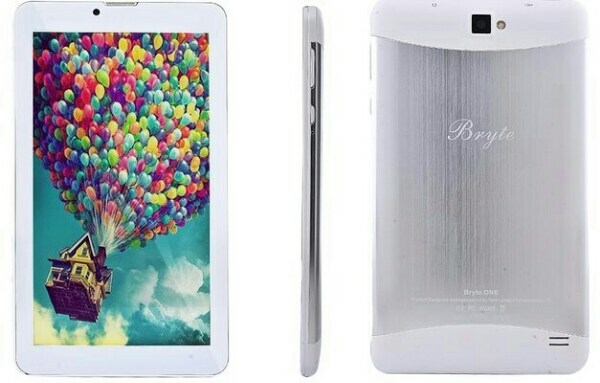 The Bryte one has a 7-inch HD display with a resolution of 1024 x 600 pixels and total pixel density of 200ppi. It is powered by Mediatek Mt6753 64 bit Octa Core processor with a clock speed of 1.3ghz and runs on Android version 4.4 KitKat. it comes with a 2gb RAM, internal storage of 8gb and it also has a microSD card slot which supports up to 32gb. The rear camera of this tablet is 8mp with led flash light while the front facing camera is 5mp. It supports voice calling which lets you make and receive calls and also send text and multimedia messages. It has 2 micro sim slot with dual standby support and it also has a battery capacity of 3,600mah. The Bryte One is exclusively available on Konga and it cost just N15,900. You Can Order for It HERE. which one you don manufacture? ive been using this tablet for the past six months and its been working fine. if you need a higher product specs, use your money to get it, stop spoiling somebody market jor. This is a review for those who want to or has gotten the tab,. Could you please send a screen shot? And does it really have OTG support n come with OTG USB in the package? I will just advice you to contact the seller... Am pretty sure they will have the solution for it..
No am not... Am just a blogger..